GM CEO Mary Barra, who previously gave sworn testimony before Congress over the company's recalled ignition switches, is scheduled to be the final witness on Oct. 8 under suits by consumers suing the automaker. 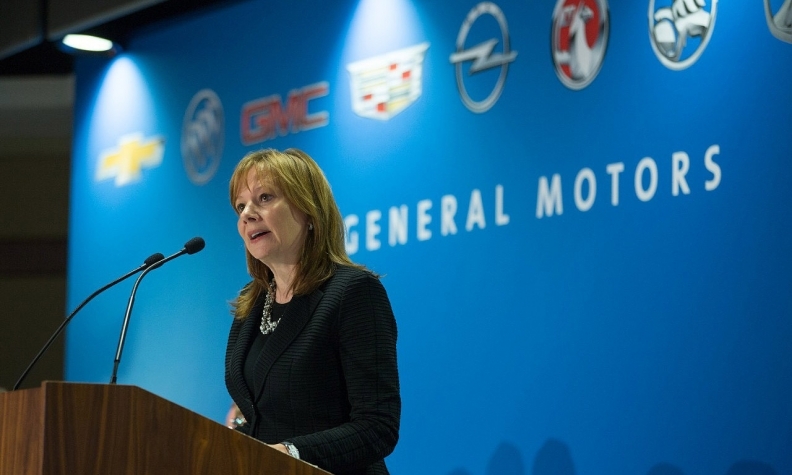 DETROIT (Bloomberg) -- General Motors CEO Mary Barra is among current and former executives set to be questioned as part of litigation over ignition-switch defects that led to the recall of millions of vehicles. Lawyers suing GM on behalf of vehicle owners will begin taking sworn depositions on May 6, attorney Bob Hilliard said in a statement. Barra is scheduled to be the final witness on Oct. 8, Hilliard said. Alicia Boler-Davis, a senior vice president who oversees vehicle connectivity and formerly oversaw the company's quality initiatives, will be deposed on May 6. The deposition, unless a settlement is reached before then, would be the first time Barra testifies in lawsuits over the ignition switches. Barra gave sworn testimony before Congress last year over the recalled part. She told separate U.S. House and Senate panels that she and her executive team weren’t aware of the ignition-switch problem until early January 2014. In February 2014, GM began recalling cars for a faulty ignition switch that could be jarred into the "accessory" position, disabling power steering and preventing airbags from deploying. The company eventually recalled 2.59 million cars. A probe by independent lawyer Anton Valukas determined GM knew for more than a decade about the defective ignition switches before issuing a recall. The flawed switch has been linked to at least 67 deaths. GM has set up a settlement fund overseen by attorney Kenneth Feinberg to pay some accident claims related to the ignition switch failures. GM is also facing multiple lawsuits claiming the ignition switch defect is connected to deaths, injuries and diminished value of vehicles. Michael Millikin, GM’s former general counsel, and Ray DeGiorgio, who engineered the ignition switch, will also be deposed. Others on the list of the executives to be questioned include Doug Parks, now vice president of product programs for GM who was the chief engineer on the Chevrolet Cobalt; Lucy Clark Daugherty, a deputy for GM’s general counsel for North America; David Cary, engineering director; and Maureen Foley-Gardner, director of field performance evaluation for GM. The lost value and most death and injury cases are combined before a federal judge in New York. Hilliard is lead lawyer for the personal injury and death cases in the consolidated litigation. The attorneys are trying to find out how early Barra and other GM executives knew about the defective ignition switch, Hilliard said. Barra told Congress she didn't know how serious the problem was until shortly before the recall was ordered. Jim Cain, a GM spokesman, said the scheduling of Barra's deposition was expected and declined to comment further. "This will be the first time GM employees in a court of law will be made to answer difficult questions under oath about the specific details of the documents and their role in these deaths and injuries," Hilliard said in a statement. Hilliard's list of witnesses currently doesn't include DeGiorgio, one of 15 employees ousted by the automaker after an internal probe of the defective switches. Hilliard's office said DeGiorgio's deposition is still in the process of being scheduled. The small-car recall propelled GM to a record 36 million vehicles called back for repairs last year.